The best part about Christmas is Christmas traditions that you can look forward to year after year that add to the excitement of the season. 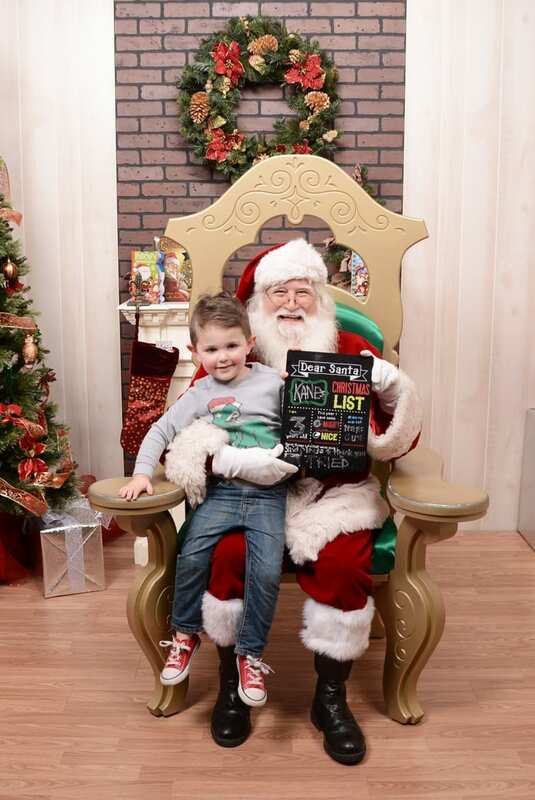 One Christmas tradition we started the year Kane was born was going to see Santa at Lexington Green. 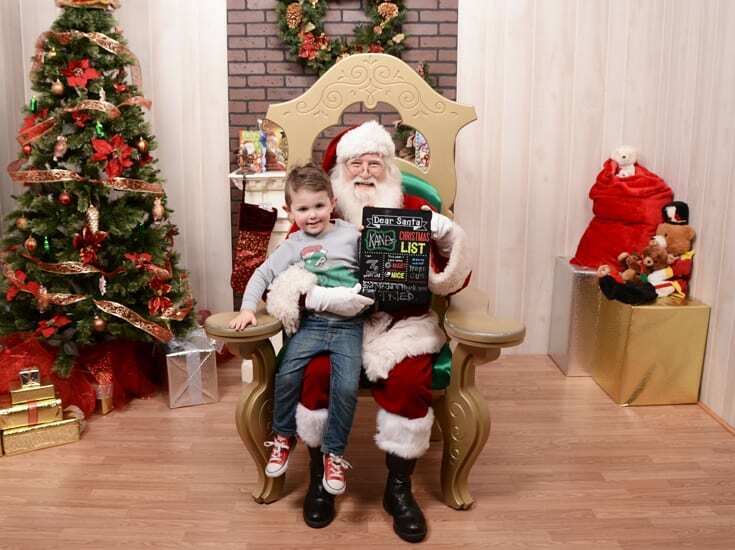 We stopped by Santa at Lexington Green this past weekend. Kane did great his first year, but not so great his second and third years (you can see the hilarious results here). 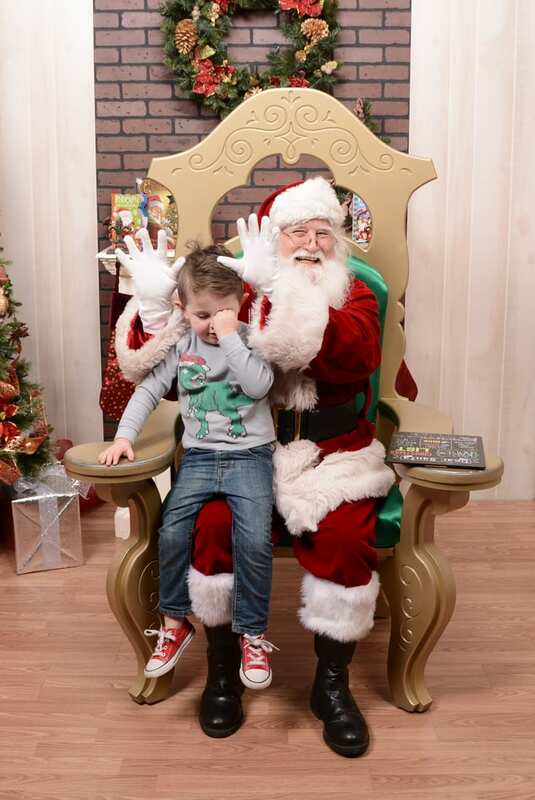 This time, he wasn’t feeling Santa when we got in line, so we grabbed a book at Joseph Beth and went to lunch before coming back. By that time, he was really excited and couldn’t wait for his turn! 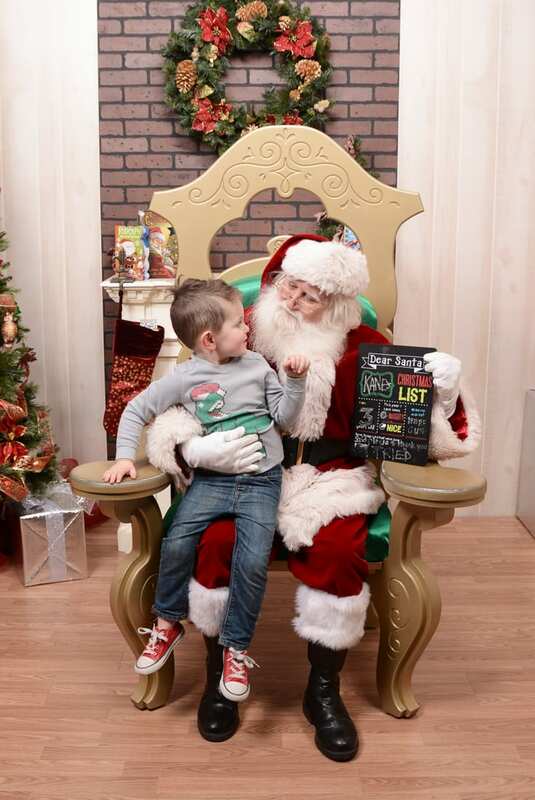 If you live in the central Kentucky area, there’s still time to get in your Santa pics with Santa at Lexington Green!!! Santa at Lexington Green will be available through December 23 from 10 am to 8 pm (with a lunch break from 2:30 to 3:30 pm), and on December 24 from 10 am to 3 pm (no lunch break). After your pictures are taken, you can browse them and select your favorites. They have both small and large photo packages available, including a digital option, and you can even have Christmas cards printed!